EasySpring roller components are manufactured in Europe, using the highest quality materials and meet the exacting RollEase standards for safety and endurance. The springs adapt flawlessly to all RollEase Skyline bracketing systems to not only ease the installation process, but also to expand your offerings with minimal investment in hardware. 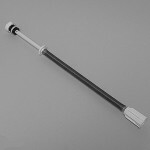 The standard RollEase EasySpring program offers 1” springs in two different lift capacities adaptable to 1 ¼” (32mm) tubes and a 1 1/8” (28.5mm) spring mechanism is also available. For larger shades, RollEase also offers a 1 ½” (38mm) spring mechanism. The standard springs have two stop balls to allow for a stop approximately every 1” to 2” depending on the tube diameter. 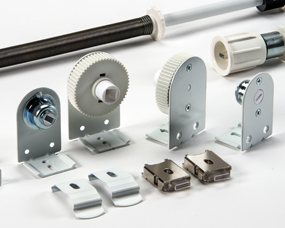 The Spring Mechanisms are adaptable to all Skyline brackets and fascia systems with the use of a simple, easy-to-use Skyline Bracket Adapter. 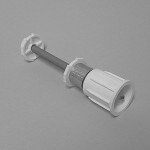 In addition to the use of the Skyline Spring Loaded Pin End, there are two optional Speed Reducers, one with a stop feature, that both enable the slow, steady rise of a shade. Speed Reducers are only for use on 1” and 1 ¼” systems.